I'm one of those girls who enjoys a lovely smelling home. Come on, who doesn't right? 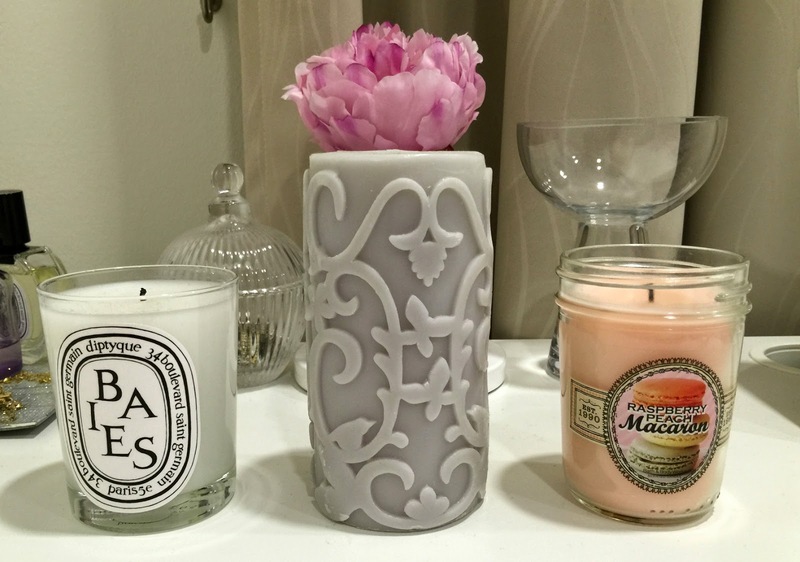 From my room to the bathroom, I make sure that I have candles to suit whatever my mood is. Lately I'm loving the smell of fresh flowers and desserts so that is what I've been burning. If you're interested to know what my favorite are read along! Diptyque Baies Parfum Candle - Oh my gosh, someone take me back to Paris please! This scent is exactly how I envision Paris to smell like in Spring. The site describe it as an irresistible freshness of bouquet of roses, sweetened with blackcurrant leaves. This is one of their most popular scent and if you have a $100 to splurge on a candle, go for it. Ikea Varaktig Scented Block Candle - Isn't she lovely? This does not only look good but also smells goods. It's basically a rose scented candle. Can you see a pattern here? Yes I'm loving the smell of roses lately and it totally matches the theme of my room. I barely burn it though because I'm afraid that Ikea won't stock it up anymore. So just in case, I bought another one for the office. It just proves how much I love it. If you can't find this in your local Ikea, Diptyque Roses Parfum Candle is very similar to it. Bath and Body Works Raspberry Peach Macaron Candle - Now this is rather unique. I'm not really someone who goes for something fruity but this is different. It is infused with a scent of macaron making it sweeter rather just plain fruity if you know what I mean. I'm not sure of Bath and Body Works still carries this, if not Voluspa Maison Blanc Macaron or Yankee Candle Mango Peach Salsa is similar to it as well.